031819 - Senator Elder Vogel, Jr. The Senate will Come to Order! This week the Pennsylvania Senate is scheduled to convene Monday, Tuesday, and Wednesday. In addition to being broadcast on PCN, Senate Session can also be viewed online by clicking here. 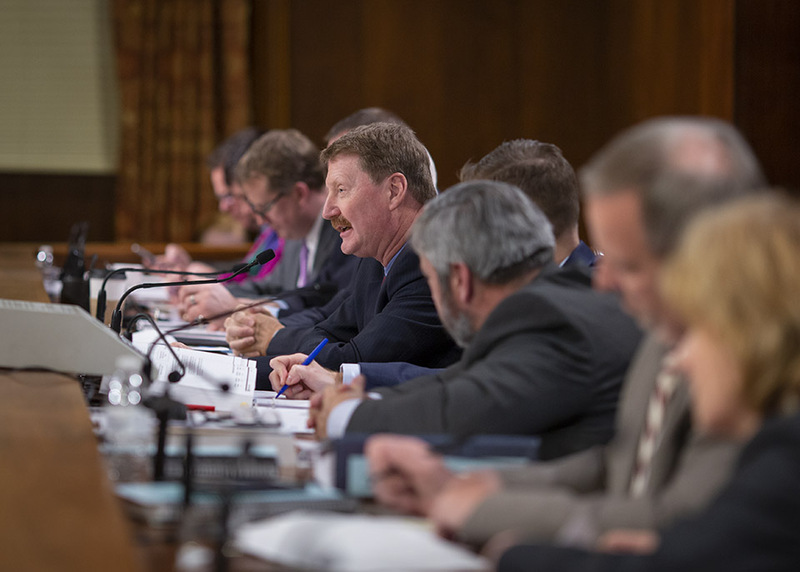 The Senate Appropriations Committee held its third week of public hearings on Governor Wolf’s proposed state budget for the 2019-20 Fiscal Year. The Appropriations Committee heard detailed reports from cabinet secretaries and other officials from March 4 through 7. This special edition of Harrisburg Happenings provides day-by-day highlights from those hearings. To see my questions to Secretary Redding, please click here for a link to my website and a video of the agriculture hearing. To see videos of all my questions from each Appropriation Hearing, please click here. As always the Senate Appropriation Hearings are an integral part of the Budget process and it is an honor to be involved. To see Evidence of Identity for other documents that may be accepted, please click here.These documents must be current, unexpired, and in your legal name. The proof must be a U.S. driver’s license, U.S. state-issued non-driver identity card, or a U.S. passport. The Pennsylvania Department of Environmental Protection (DEP) has announced a settlement with Diversified Gas & Oil Corporation and Diversified Oil & Gas, LLC (collectively referred to as Diversified) and Alliance Petroleum Co LLC (Alliance) over well plugging violations in 23 Pennsylvania counties. Diversified and Alliance have agreed to a $7 million surety bond for the wells covered by this settlement, plus an additional $20,000 to $30,000 bond for each abandoned or nonproducing oil and gas well acquired in the future. Under current law, adopted in 2012 as an amendment to Pennsylvania’s Fiscal Code, conventional oil and gas operators such as Diversified and Alliance are only required to secure $25,000 of blanket bonding to cover all of their wells, which in the case of the two companies, amounts to bonding of approximately $2 per well. The performance bonding negotiated in this settlement is closer to actual plugging costs that can begin around $20,000 per well and go much higher depending on well and site conditions. With this Consent Order and Agreement (COA) in place, DEP has approved pending transfers of non-producing mostly conventional oil and gas wells to Alliance and Diversified. The COA allows some wells to be put back into production, so long as minimum production levels are maintained, and sets a plugging and restoration schedule for non-producing wells of 15 years while prioritizing the plugging of wells that pose health, safety, and/or environmental threats. The COA may be extended for an additional 5 years subject to additional bonding of $30,000 per well for wells to be plugged during the extension. The Oil and Gas Act requires owners and operators to plug wells upon abandonment. In July 2018, DEP issued orders to Alliance, XTO Energy Inc. (XTO), and CNX Gas Company LLC (CNX) to plug 1,058 abandoned oil and gas wells across the state—based on required self-reporting of well production data—and held pending transfers of said wells. Those wells, along with wells that Diversified also reported as non-producing, make up the approximately 1400 wells specifically addressed in in the COA. Alliance, XTO, and CNX appealed DEP’s orders to the Pennsylvania Environmental Hearing Board. Pennsylvania has over 8,000 orphaned and abandoned oil and gas wells on its inventory and hundreds of thousands of legacy wells may be unaccounted for, posing a major financial liability and environmental, public health, and safety risk. Starting in 2020, the Pennsylvania Food Code requires that the person in charge (PIC) of a food service operation be a Certified Food Protection Manger. That person must be onsite at all times during operating hours. To receive and maintain certification, individuals are required to pass a certification exam every five (5) years. The ServSafe® Food Safety Manager Course, conducted by Penn State Extension, is for individuals preparing for the food protection certification exam. Completing the ServSafe® Manger Course and passing the ServSafe® Food Protection Manager Certification Examination with a 75% or higher meets this requirement. Our courses are taught by certified ServSafe® instructors/proctors with a focus on teaching participants the importance of understanding, developing, and implementing proper food safety practices. Course fee covers cost of the most recent addition of the ServSafe® Manager book, exam answer sheet, and learning materials. For more information on the ServSafe program, please click here to go to Penn State Extension website. On National Ag Day, we celebrate Pennsylvania’s leading industry and its $7.4 billion economic contribution. 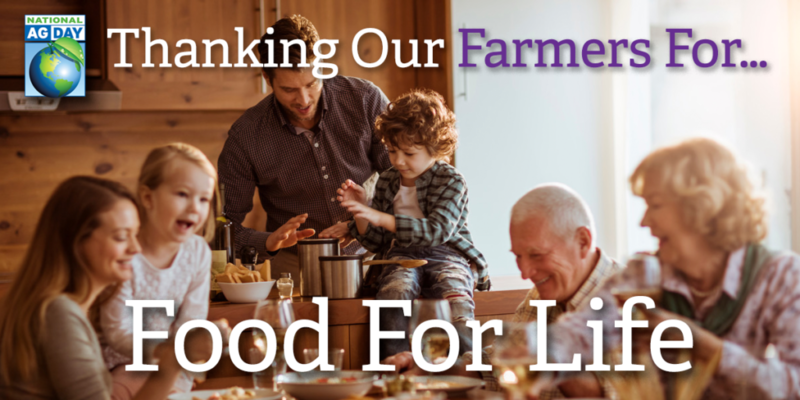 Nearly 60,000 farms feed the U.S. with agricultural products that have earned a worldwide reputation for quality.